Landscaping is a popular profession which is being practiced by many people now days who are professionals. The number of tree trimming services in my vicinity is unreal and once no one would have thought it would be done by professionals who call themselves as educated gardeners charging premium. Thus today we will be looking at a simple question that many ask but in my opinion are not answered properly with the market and industry facts and figures and without knowing the market and talking to professionals such as landscaper, gardeners and architects who work as grounds keepers one can’t really signal out one aspect. This is what are topic of today is based upon – what do you need to be a professional landscaper? We see that landscapers are individuals who mostly reply on their experience rather than a degree but not as times go by certification are being offered as the business has boomed and clients now want certified landscapers who have both experience and the relevant knowledge to be able to cater to the demands of the client. Landscapers tell us that the best way is to get certified and then work as an intern then going for a job or if you want the business to be certified that would be better. According to experts the certifications that are available are mostly done by individuals as voluntarily to add to their arsenal. In most parts of America however this may change according to state to state and country to country. You can never go wrong with knowledge through whatever paradigm it hits you be it through experience and the work that you do and improve upon or through your degree and information which comes from your certification. So as I said before according to experts when you can’t get a certification then it is better to go for an internship or an apprenticeship as they call it with landscaping associations and organizations through your local labour organization. But it is recommended that you do get a certification just to tell the clients about your resume and background and if availability is an issue then why not get an online certification which is quite possible. 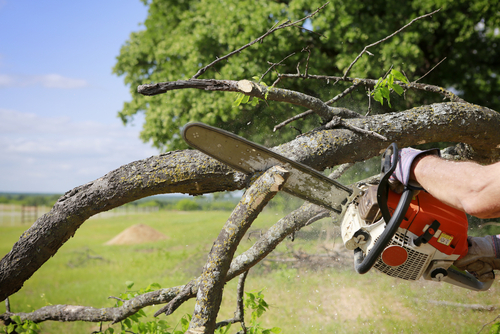 In order to be a certified landscaper you need to be able to complete a four year program which is known as the apprenticeship program and then when you complete that program then you can start with the on the job trainings at a landscaping services providing company like Axe Tree Pros, who deal with such a variety of different landscaping services that may make you go berserk. 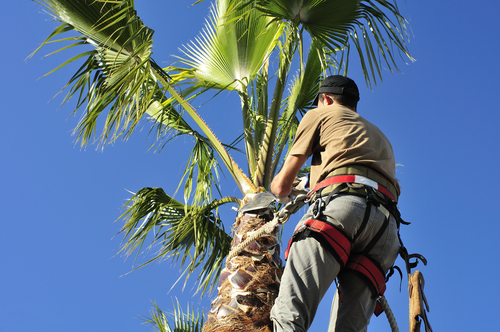 We see that after completion of this certification you may think that now you can sit back and relax and work will come towards your way like a paper in a windy weather but that is not true to be able to go into a good renowned landscaping organization catering to a number of clients you need a number of important components that we will talk in detail. First and foremost, after being a certified landscaper by law you need to be able to work in a few domains and landscape which involves not only dealing with many aspects and areas but also using pesticides, fertilisers and other chemicals that means you would have to by law be able to use them otherwise it is illegal to do so. 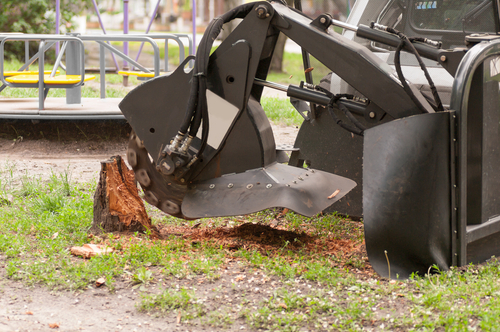 Stump grinding services are one area that you may have to work on and also require trainings and certifications so being certified in one area may not be the only thing that you need. Here we see that to be able to landscape and use chemicals you would also have to work on them and so you would need a license, in more detail we would like to add you would need a provincial license to be able to use these chemicals and apply them on the plants and trees that you will be working upon. These chemicals are found in pesticides and fertilizers used for the pests and for the soul in fruits and vegetables and in every kind of plant these days. The license will be used in order for you to be able to apply these chemicals and also includes other chemicals such as herbicides and fungicides to name a few. 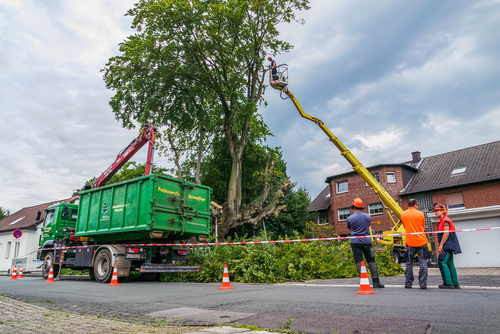 Now we look into the debate that do landscapers need experience and that is understood before even we start our point of view that yes, they need to be well on their game and in the box hitting a home run. They need to be able to sharpen their skills according to the latest software’s and technologies and younger ones have to do so by always being proactive and learning from other peers and through the internet, basically from whatever source they can find. Landscapers earn roughly around twenty two thousand dollars a month ranging from this till fifty thousand depending on the experience, the industry situation which in economics is also known as the market condition and the training, certification and experience. We calculated this through the market average by contacting and speaking with landscapers who are presently working in the American market but we should say the range is due to the fact that it includes according to the resume and CV of the individual. The relevant experience he or she has, the contract, the location, the organization and what is its culture and other conditions that always play a part which include the economy. As days go by I see many Tree Services near me and so it tells me a lot. Firstly it tells me the relevance of what our discussion today and why did we feel the need to talk about this topic. Landscaping is a gold mine needed to be explored people want landscapers as they now want better looking areas and homes. Some may buy for investment or other just want beauty so it depends. Now coming back to the topic of apprenticeship in landscaping. We see that it is a how you have to start in the landscaping world also is the same in construction which landscaping also touches. So landscaping not only is complete in its own way but also has multiple other fields involved with it which is truly uncanny. So as emphasized above it needs both studies which involve classroom studies and experience and certifications. So in this program you can learn and earn with a win-win situation for all parties involved. The age limit is 16 years old mostly in the region of Canada and somewhat in America and some secondary schools offer this program even in high school so that students from that age can align themselves towards landscaping. The length of the program ranges from 12 months which make around forty right hundred hours.